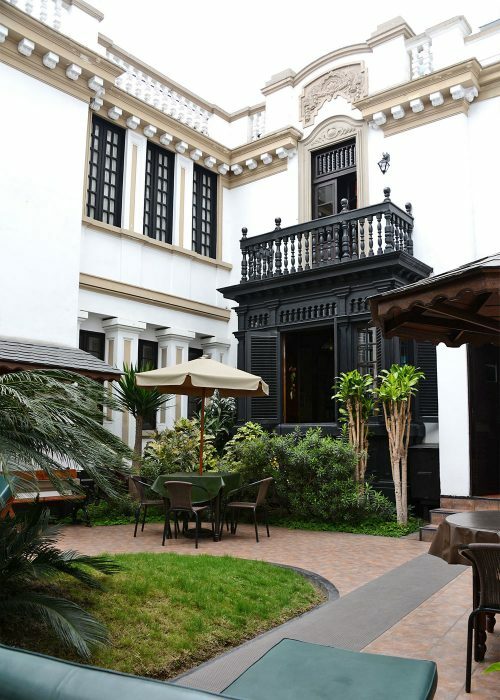 La Castellana Hotel is located in touristy Miraflores, one of the most beautiful suburbs in Lima. It’s strategically placed very near to malls, cafés, cinemas, pubs, discos; so as museums, archaeological sites and art galleries. However you can rest and enjoy a relaxing atmosphere because the street where it’s found (Grimaldo del Solar) is quiet and peaceful. Our cozy Hotel was originally a manor house dated of 1912. 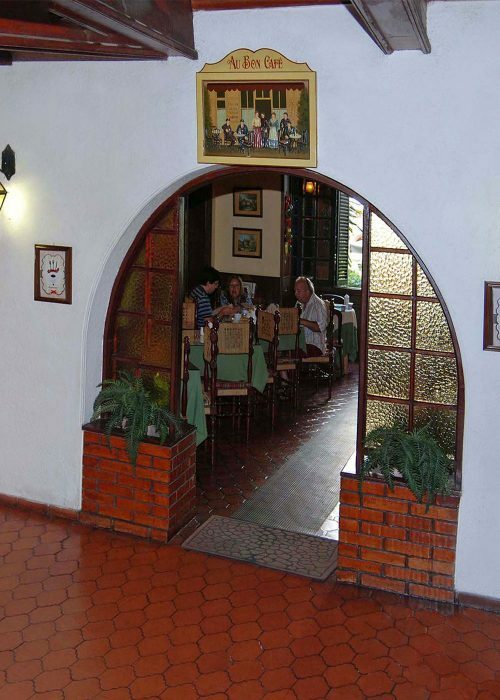 Previously, in the area where is now the Hotel lived Mr. Grimaldo Del Solar (of whom the street’s name is taken). 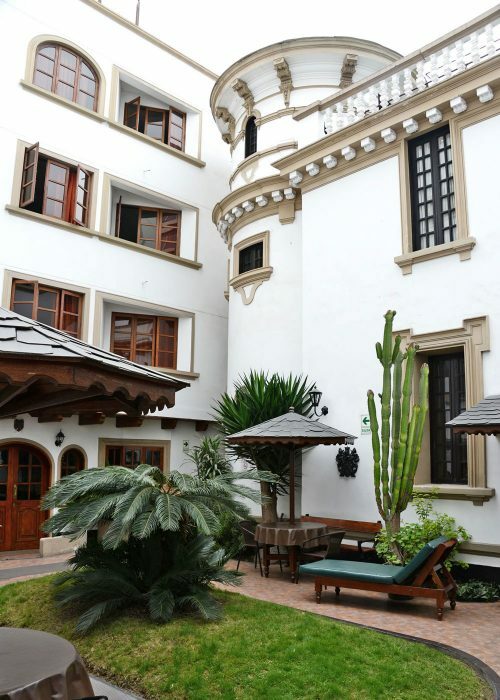 After that, also a Vice-president of Chile lived here during his stay in Peru. 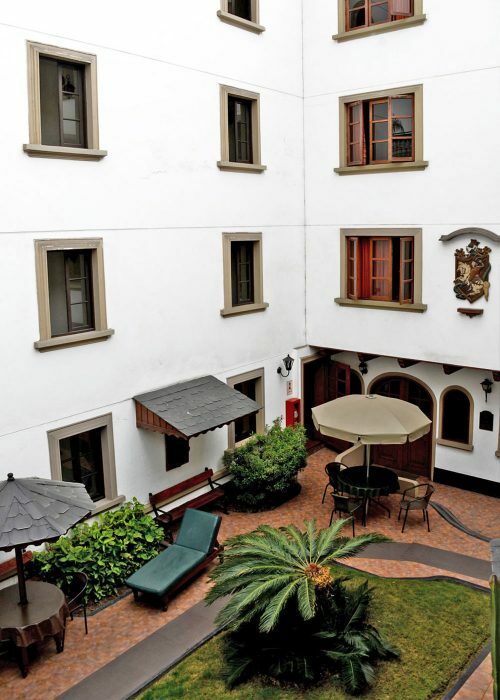 For a while it was property of the German Association in Peru and then was a Bed and Breakfast. In the year 1980 it was bought by its current owners. After 2 years of exhausting restoration and maintenance work, finest decoration Hotel La Castellana opened its doors in 1982. With more than 30 years of experience providing its clients (Agencies, Corporations, embassies, etc.) always the most careful and personalized attention. 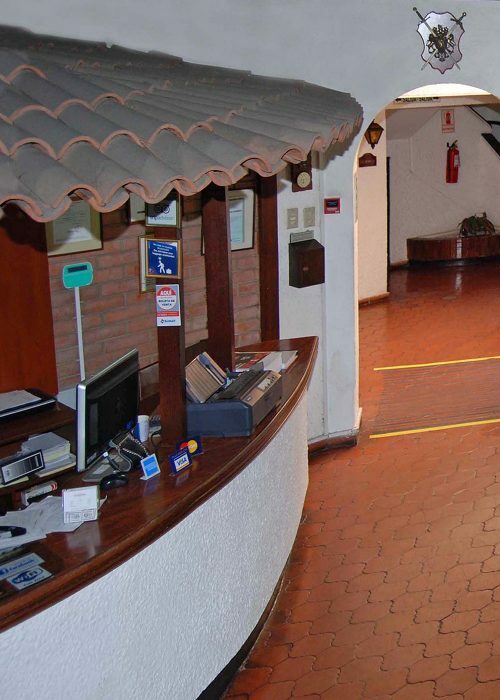 La Castellana Hotel is growing every day and strives to provide superior service to each of guests, which is why your stay is worth repeating and recommended. La Castellana Hotel is your best choice in location, price and quality. 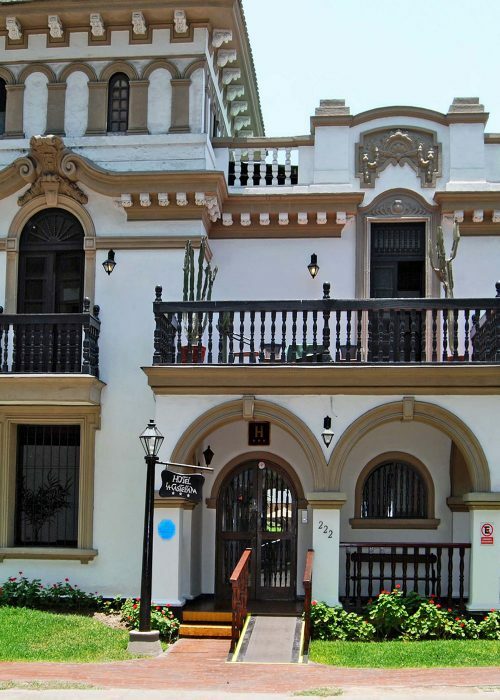 Located in touristy Miraflores, one of the most beautiful suburbs in Lima, just three blocks from the Kennedy Park, where cultural activities and daily crafts fairs are held. © 2016 Hotel La Castellana. Todos los Derechos Reservados.